Cassandra Palmer, the chief seer (aka Pythia) for all of the magical community is back in book six and has a crazy adventure ahead of her. 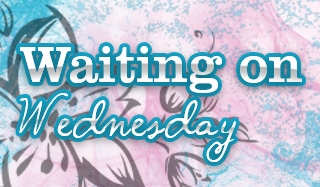 In case you haven't read the series before, Cassandra has the power to go back in time. She basically has to fix issues that arise in the past, such as other people going back in time and wreaking havoc and other odds and ends. 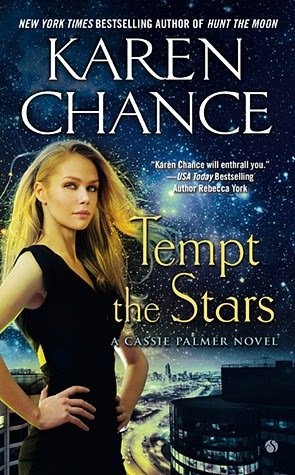 Tempt the Stars is slightly different from the other books in the series. While it is revolving around Cassie and all the chaos that she's going to have to deal with. It also tosses in some of her family history. I was really glad to see more about her mother and father in this book. It helped round out details that were lacking in the previous books and shed a lot more light on Cassie's character. The main plot, which I don't want to spoil, had me flipping pages like crazy just to see what would happen next. Poor Cassie was rushing to resolve things and it kept me on my toes. The book itself was pretty good, better than I expected to be honest. The world building is excellent, and I can't wait to see what happens next. Oh and just a heads up, you have to read this series in order, or you will be completely lost. If by some chance you haven't read this series, I highly suggest it! Can i get away with reading this book or do I have to read all the other ones before it? Happy weekend, Mel & Drea! Eek, try reading reviews to catch up?